Production: Produced from customer paper drawings. CNC punched and formed. 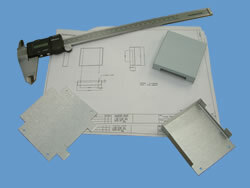 Image shows scale and various stages of manufacture.